Every profession has legends, heroes even, that played a significant role in the development or advancement of the field. For activists, one of those people is Sophie Scholl. 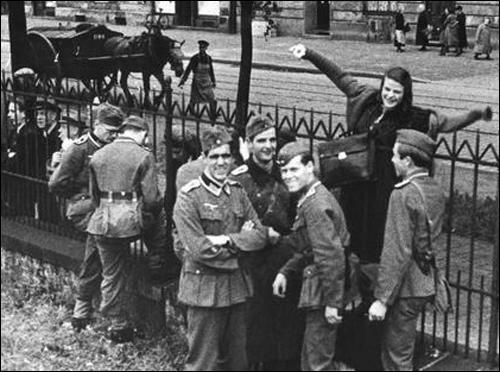 Sophie, her brother Hans, several other students, and a professor at the University of Munich were the core members of an opposition group called the White Rose Resistance. In 1941, months before the United States would join World War II, the White Rose Resistance was writing pamphlets denouncing the actions of Nazis and calling for citizens to take a stand against them. They opposed the spreading fascism not just on political grounds but on moral ones. While most Germans were silently complicit in the humanitarian crimes being committed by their government, Sophie and her group were holding secret consciousness raising meetings. These meetings, held in private homes under the guise of study groups or social events, provided a place for these youth to build conviction and develop actions. They knew that their morals only mattered if they stood by them not only when it was convenient but when it was inconvenient. Both Sophie and her brother Hans were involved in the youth programs developed to indoctrinate Germany’s children in the ideology of the Nazis. Sophie was a member of the League of German Girls while Hans was a member of Hitler Youth. Rather than creating good little soldiers, their experiences with these groups lead both Sophie and Hans to develop criticisms of the Nazi regime. Later, while she was attending the University of Munich, her boyfriend was a member of the German military. His first hand reports of the war crimes they committed further influenced Sophie’s resistance. Sophie was instrumental in the distribution of these leaflets. The Nazis, like most regimes, underestimated women and so she was less likely to be stopped by the SS (Schutzsffel, the paramilitary organization for the Nazi Party). Eventually Sophie did fall victim to the police state and was arrested on February 18, 1943 for distributing anti-war leaflets. Sophie and the other members of the White Rose Resistance who had been arrested were interrogated for three days before going to court. In a trial that included no defense witnesses and was presided over by a proud member of the Nazi Party Sophie and her peers were found guilty and sentenced to death. I hope that by learning her story we are all stirred to action. May her conviction inspire us to stand by ours. May her bravery move us to push past our fears. May her sacrifice remind us that we must all give to the greater good. While we may not all be called to die for our beliefs, we should all feel the obligation to stand up for them even if it causes us discomfort or distress. In Sophie’s name I ask you, what are you willing to give up for righteousness?